I am a total foundation addict. Since the age of 15 I've been hooked. Things hit an all time high at university when my go-to must have foundation was Maybelline Dream Matt Mousse. Super matt almost chalky foundation that was thick and about two shades darker than my skin tone was my thing *shudder*! Then thankfully I started my journey to natural makeup and found my way wading through mineral powder foundations. However you can imagine my struggle when I tried out liquid foundations. Traditional liquid foundations and natural liquid ones are earths apart and since then I've been on a real journey of discovery. 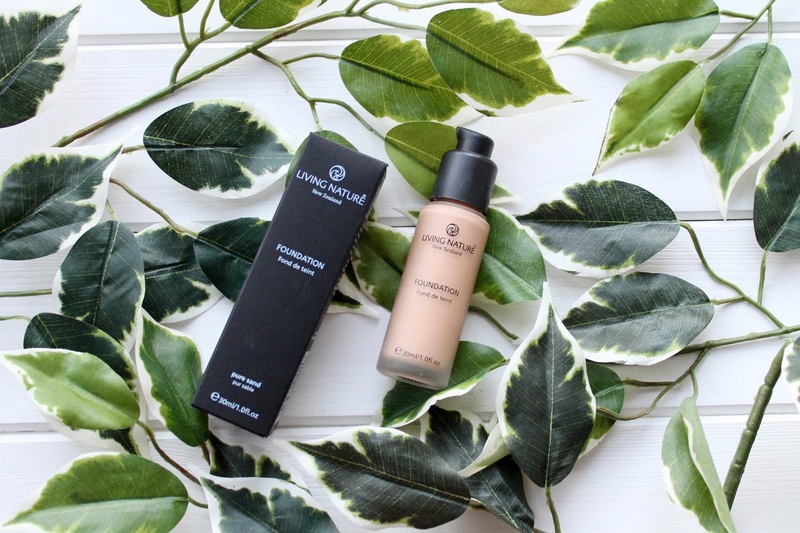 So I've tried and tested a lot of foundations and I recently I have been trying our this Living Nature Foundation*. 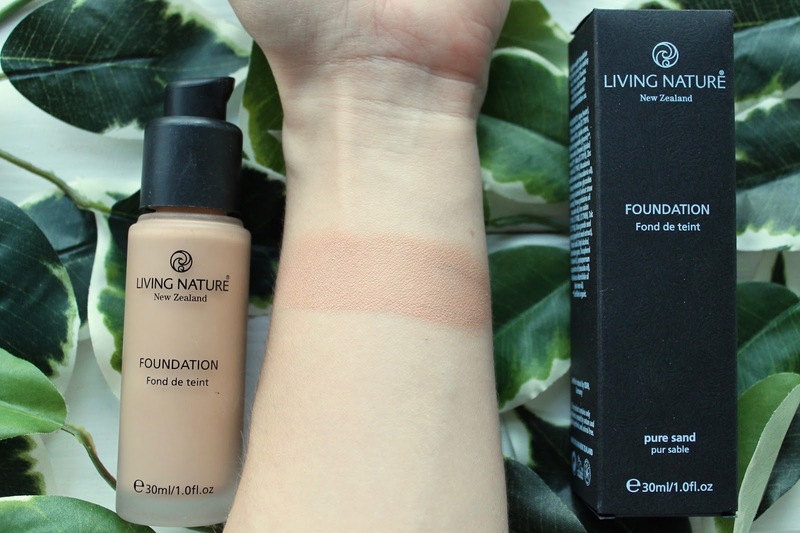 I chose the Living Nature Foundation in the shade Pure Sand as it offers a blend of both yellow and pink undertones, which suits my skin tone the best. As it stands it is actually a pretty good blend of the two undertone colours, often I find some too yellow or too pink, but this one is pretty good. The formula is described as lightweight and I would agree that sitting on the skin it does feel very light. However in terms of coverage I would describe it as medium to full coverage. One of the best points of this foundation is how buildable it is. It works really well layering it if you want to go for a much more full coverage look without being cakey. The consistency is really creamy but not too thick and it's easy to apply and blend. I've tried this with buffing brushes, beauty sponges and fingers and all work really well with minimal streaking and as I mentioned it doesn't tend to clump or get cakey. After a long day without any touch ups you obviously do get the usual buildup and creasing around the nose etc, but nothing unusual from any other foundation. The finish of this is quite natural, definitely a matt finish but because the consistency of the formula is so creamy is doesn't have a chalky effect to it and you can still see a hint of your natural glow through if you only use one layer. As for the colour, it's a fairly good match. 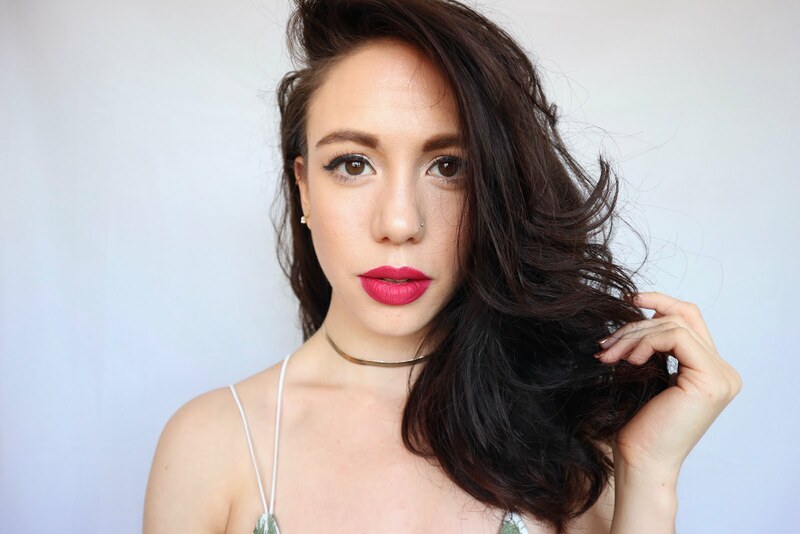 The pic below is two layers of foundation and does make it look too dark for my natural skin, however that is on my underarms which are dramatically paler than the rest of my body and also I do love a bit of fake tan so I always choose a foundation that is a shade darker than I actually am. One important thing I would note however is that this foundation does oxidise a fair bit. The photo below shows the foundation after it has been sitting for a couple of minutes, when first applied the shade is much close to that of my skin, paler and a lot cooler toned. The oxidisation makes the foundation a hint darker and a little bit warmer in tone too. If I was going for a more true to skin (untanned) colour I might go a shade lighter to compensate for this. 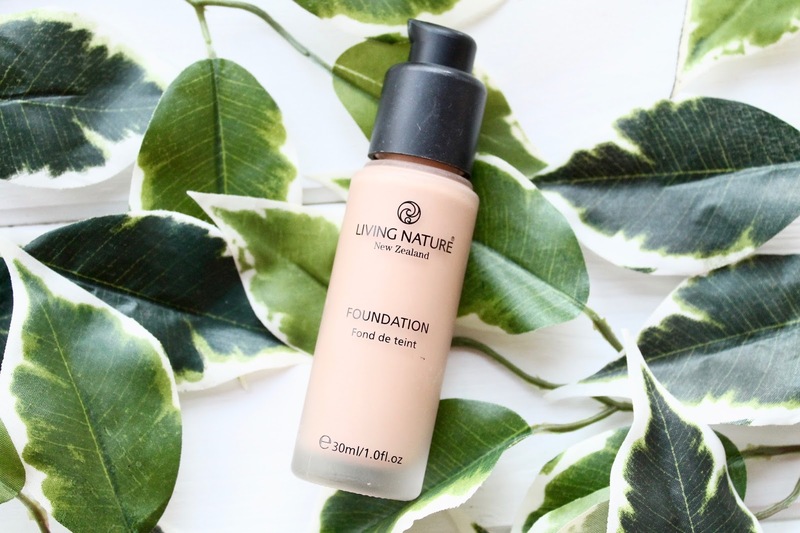 This Living Nature Foundation costs £28 for 30ml (available at LoveLula) so it is on the higher price range of foundations, but since using it almost everyday I have barely made a dent in it as you can really work well with a small amount so it should last quite a while. Additionally, because I love packaging design, I have to mention how handy the bottle is. The pump has a twist and lock system so that you don't get any spillages in your make up bag and I think it locks the air out to stop it ruining the foundation too. Also the cardboard packaging is made from trees from renewable forests, completely recyclable and hasn't been process with any chlorine or bleaches. This foundation is also cruelty free and vegan (NB. not all LN products are) but it does have Talc in it, although the LN website does explain that they have taken care to make it as safe as possible.